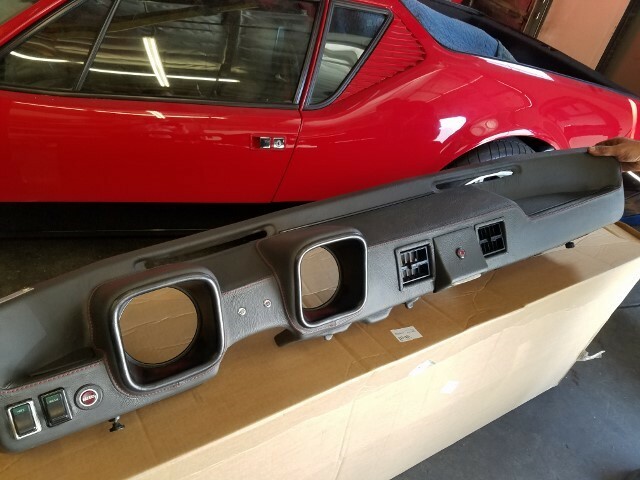 I am looking for the courtesy light that mounts to the bottom of the wedge shaped protrusion between the a/c vents that lights up the gauges on the vertical console. I ordered a dome light thinking it was the same and even though it will attach there, it's too deep and prevents the A/C levers from going back and forth. Does anyone know who carries the part and maybe a part number? For a Pre L dual pod dash, by the way. it's a flat rectangle that mounts at the bottom of the upholstered triangle wedge between a/c/ vents. Mike Mayberry had some not too long ago. 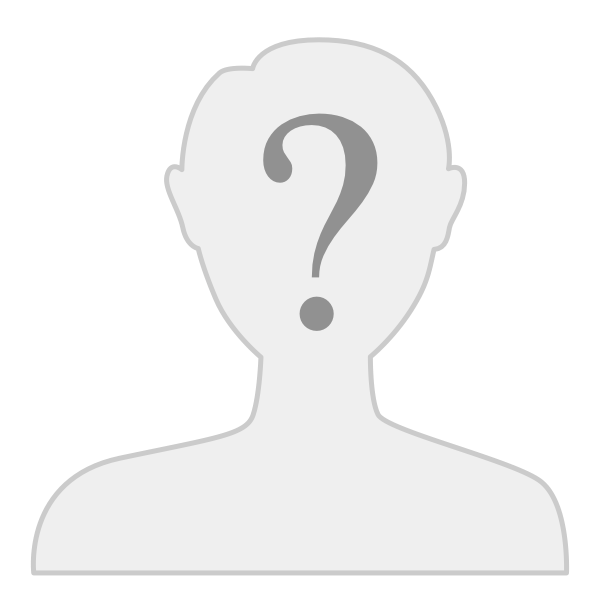 He goes by “king” here in the forums. He’s the only potential source I’m aware of. Thanks, I should have thought about Mike, I will contact him as I have bought parts from him before and picked them up since he's only a few minutes from me. Thanks again. 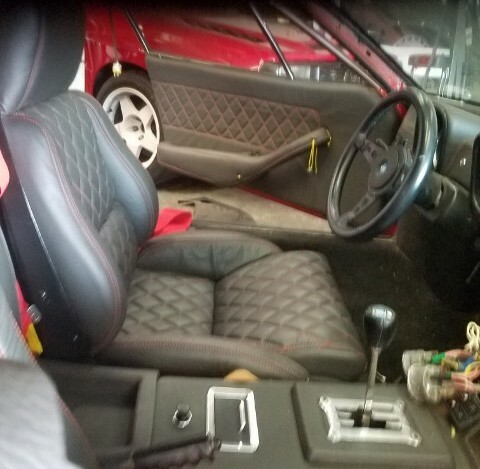 When I decided to buy the C-4 Corvette seats and cover them in leather, we continued and pulled the whole interior and covered with leather and red topstitching including the dash, console, door panels, arm rests, headliner, and firewall. I sat in the car, yesterday, as a passenger and took a ride in it for the first time in over 4 years. Still some adjustment to the shifter, a short trip to have the paint buffed out on Monday, and I'll be bringing her home Monday afternoon. I will take some more detailed pictures of the interior at that time. The dash was done by an auto upholstery shop used by the guy working on my car. 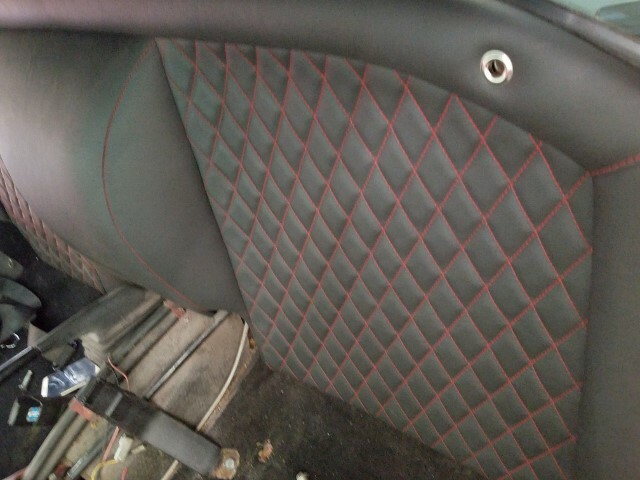 The Corvette seats, door panels, arm rests, and firewall were done by my personal furniture upholsterer of many years. Pictures on Monday.